A report from the Academy of Medical Sciences points to an alarming lack of information about multimorbidity – a scenario where a patient suffers several diseases simultaneously. The report is produced by a working group of 17 international health experts, including Professor Melanie Davies, who is the Director of the NIHR Leicester Biomedical Research Centre. She is also Professor of Diabetes Medicine at the University of Leicester and an Honorary Consultant Diabetologist at the University Hospitals of Leicester NHS Trust, Leicester, UK. While it is well known that multimorbidity is common and on the rise, the exact extent of the problem and the rate at which it is growing is not understood. It is reported to affect anywhere between 13-95% of patients globally, a range so wide that it indicates just how little is known about this global burden. The causes of multimorbidity are poorly understood and strategies for its prevention are lacking. 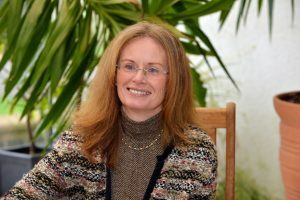 Professor Melanie Davies said: “We are all familiar with multimorbidity in the older population, but as a diabetes doctor I am seeing many type 2 diabetes patients under the age of 40 years with multiple serious illnesses which is a real concern.